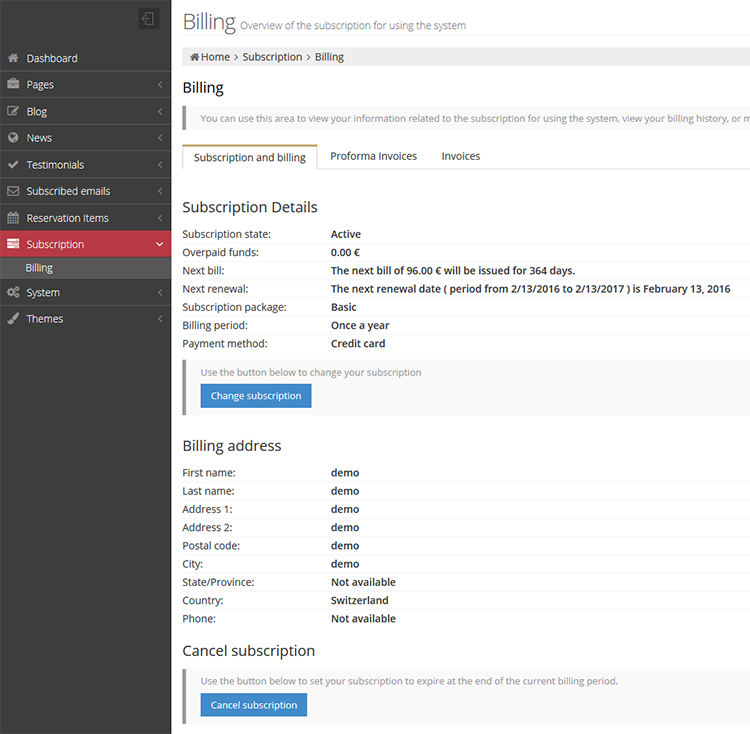 All data related to your subscription can be viewed from the “Billing page” that can be found in the left admin menu under the “Subscription->Billing” link. Here you can view information about your current subscription status, the date when the new subscription billing period will be issued, your subscription package, billing address etc. On this page there is also a tab where you can view all invoices related to your subscription. With clicking on the “View proforma” button, you can download the invoice for the corresponding billing period. Also, invoice will be automatically sent to you at the event of making successful subscription or in an event of subscription renewal.